Are they reliable? look how far back they go! Depends on if the station data they’re derived from is reliable. Funny you posted this because I was just looking at the NOW data for this area for recent Februaries (doing some winter analoging ). 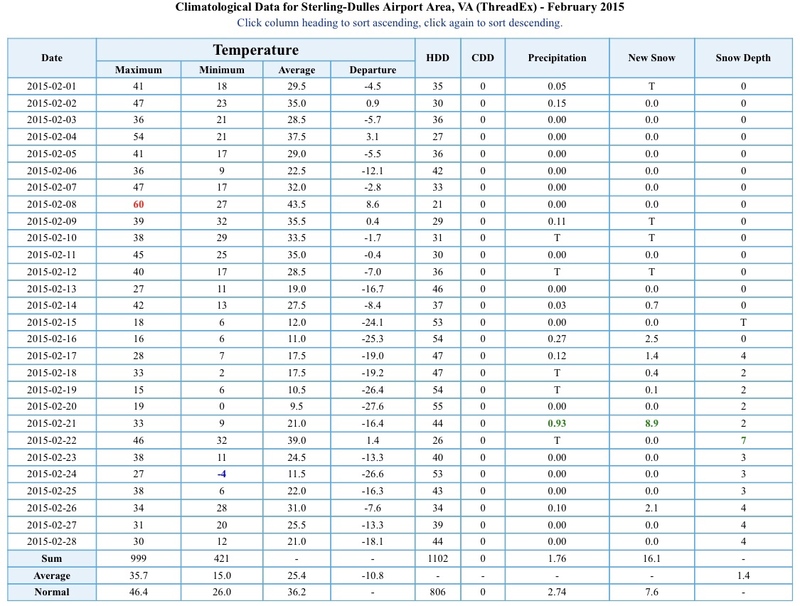 Weird statistical anomaly..we had our warmest February on record in 2017, just 3 years removed from what might be our coldest February on record in 2014 (IAD..haven’t checked the full record yet so don’t hold me to it yet). 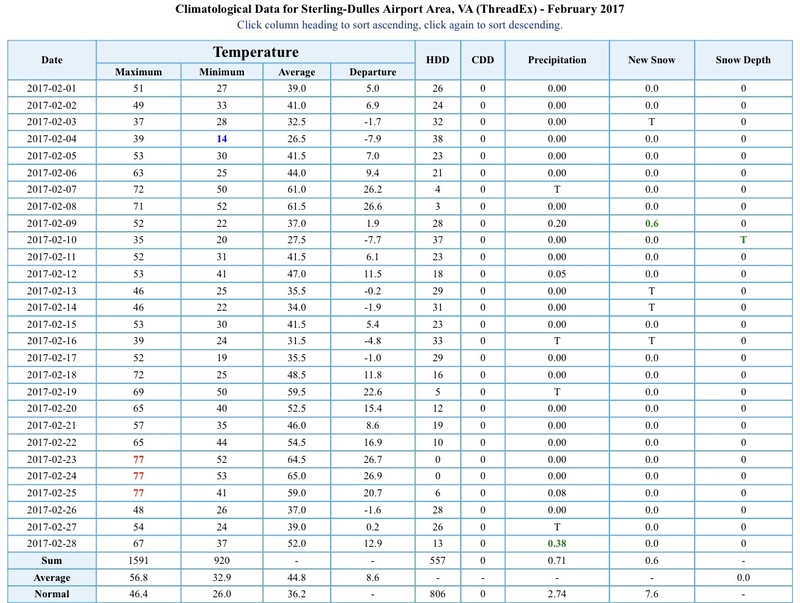 Some of those days in February 2017 were warmer than SEA’s average July temperature. WOW! We really got screwed this winter in the donut hole for snow but not for warm temps. When your below freezing like that do you get a lot of hoar frost?